My love affair with my slow cooker continues . . . This summer has seriously been so jam-packed! my family has been lucky to have dinner on the table each night. I am pretty sure that I would have never survived this craziness without my slow cooker. This recipe is so simple to throw together . 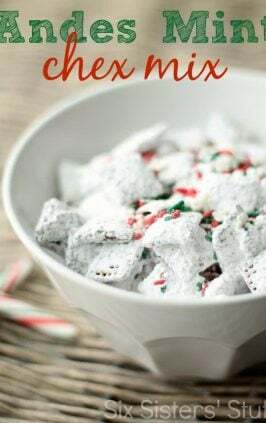 . . the kids loved it because it was kind of sweet, but we spiced up the adult servings with red pepper flakes, which added the perfect amount of heat. Serve it over rice and with some steamed vegetables and you have a quick and easy (and delicious!) dinner! Spray slow cooker with non-stick cooking spray. Place chicken (I used frozen chicken, thawed chicken works great too) inside slow cooker. Mix together brown sugar, vinegar, soda, garlic, soy sauce, and pepper together. Pour over chicken. Cook on low for 6-8 hours or high for 4 hours. Take chicken pieces out of slow cooker (mine basically fell apart) and pour remaining sauce into saucepan. Place saucepan over high heat. Mix together corn starch and water, pour into saucepan, and mix well. Let sauce come to a boil and boil for 2-3 minutes, or until it starts to thicken and turns into a glaze. Remove from heat and let sit for a minute or two (it will continue to thicken as it cools down). Serve chicken over rice or noodles and top with glaze. Sprinkle red pepper flakes on top if desired. Looking for more amazing slow cooker recipes? Sounds great. Is chicken boneless? Some food sites like "All recipes.com" have an automatic serving size converter to change amounts of ingredients for meal serving. Example, this recipes for only 2 servings would calci\ulate amount of ingredients needed. Do you have one as is one coming. 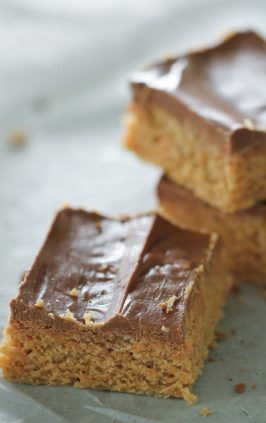 Love recipes but adjusting each recipe gets time consuming?....THANKS! Sometime between December and May! Ha ha! We don't know a release date for sure . . . we are definitely only in the rough draft stages, but it is coming! We will keep you posted! I also had the same question as Eugene Reader, I only have apple cider vinegar, can I use that one? And how can I substitute the lemon-lime soda? the only soda I have, if I have any, is ginger ale. I just use white vinegar . . . I think that apple cider vinegar would still work, but it would have a different taste. Same with the ginger ale . . . I think that it would work okay, but it will definitely taste a little bit different. You will have to let us know how you like it with the ingredient changes! 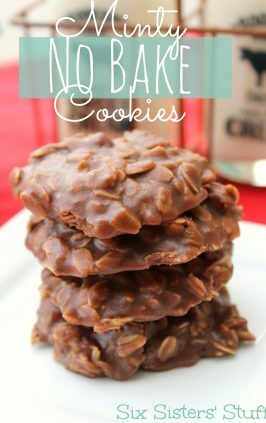 I made it with white vinegar the first time and it was an instant family favorite! The second time we used ginger ale (only thing we had on hand) in place of the lemon lime soda and also added ginger paste, which gave it more of a Chinese food feel. It was still delicious, especially if you like ginger. Now when I make this recipe, I substitute apple cider vinegar in place of the white vinegar because I prefer the taste of it. I think the food comes out a little sweeter and the vinegar taste is less present. Oh my! My mouth is watering. Sounds yummers. I'm definitely going to have to maket his. This sounds so good! I think it will be on my list this week. 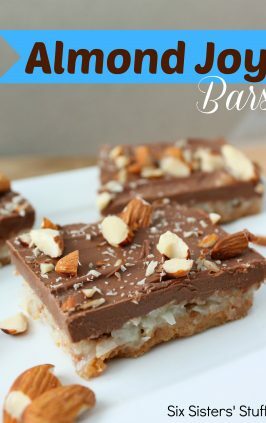 I have a feeling that you ladies are too busy to still visit linky parties, but if you're not, I'd love it if you linked this up on "One Creative Weekend"
This sounds absolutely FABULOUSLY yummy!!! It's on my grocery list for Friday...chicken for the slow cooker!!! I can almost taste it NOW! I am not sure how it would taste without it . . . I have made a lot of slow cooker recipes with lemon-lime soda and coke and it always makes the meat super tender and moist. If you didn't use the soda, you would for sure need another liquid to add moisture. You could use water, but like I said before, it really might make it taste different. How about chicken broth or stock? How about veg. broth or stock, too? Sounds delicious! We have only made this as our recipe directs. I'm a newbie at using my slow cooker (this is the first summer I've tried), you mentioned frozen chicken breasts. If I use frozen chicken breasts do I need to increase the cooking time? Or is it the same 6-8 hours on low as the defrosted chicken? I can't wait to try this out. It kinda looks like a rice bowl I used to get at a local restaurant before they closed down a few years ago. I am so glad that you got a slow cooker!!! They are absolutely my favorite way to cook! :) And it makes delicious food with very little effort on your part. :) I usually use frozen chicken in my slow cooker, just because I hate touching raw chicken, and I just cook it closer to the longer time mentioned in the recipe (closer to 8 hours). When I use raw, thawed chicken, I cook it closer to the shorter time mentioned (so in this recipe, 6 hours). Of course, every slow cooker is different . . . some cook a little hotter and your food is done a little faster. You will just have to watch yours and see. Thanks! I'm the same way, I HATE touching raw chicken. We don't drink soda in my house. Is there anything else you could substitute this with? I am so sorry, I am not sure what else you could substitute. I have make many slow cooker recipes with soda because it makes the meat so tender and moist. It also adds sweetness, but with all the brown sugar in the recipe, you might be okay to just use water. It might turn out tasting different though . . . you will have to let us know if you try it! I am trying it with lemon lime seltzer! maybe white grape juice or apple cider could sub for the soda. it's worth a try. I made this today, had a delicious dinner. I luckily had all the ingredients on hand, and it turned out perfectly!!! I have a 6 quart slowcooker and that is what I used for this recipe and it worked great. I think that a 5 quart would work great too. Duuuuuuuude. Yes please! I am drooling over this and wish it were in my slow cooker right now! OMGosh! Just made this for dinner tonight. It was awesome. Made it with parmesan coucous and broccoli. Wonderful. Thank you do much. Love your blog. Made this for dinner tonight! So delicious and tender. My picky husband loved it and conned most of the leftovers for two of his lunches this week! I made this for dinner tonight, and loved it! I swapped chicken broth for vinegar and left out the soy sauce, and it was excellent! The glaze is so good over rice. I found you via pinterest and made this for dinner tonight. It was delicious! We don't keep sodas in the house so I used seltzer water--no added sodium or sugar was also a plus--and it was great! The sauce is awesome and I tossed the leftover in the freezer to use again. Thanks for a great recipe! Can't wait to try it. I strongly encourage you NOT to use chicken that's still frozen, however - Crock Pots don't heat up quickly enough to kill off the bacteria of frozen poultry to make it safe. If this were the case I would have died many, many years ago. ;)Remember chicken only needs to be cooked to an internal temp of 165F. Too funny! Oh, and great recipe. I cook from frozen constantly. Not dead yet. Oh man, made this for dinner tonight... it was so tasty! My house smelled amazing too. I doubled the recipe (took half to a friend) and it still turned out great. Thanks! Could you just sub some lime and lemon juices?? I'm curious how many this feeds? I only have 2 adults and 1 child (10 years old) in my family. I'm sure I could just make the whole recipe and freeze leftovers. Also, could you do a freezer type meal with this recipe? I just started getting in the groove of using my slow cooker & I made this for dinner tonight & it smells amazing! It was super easy to do & tasted great. I didn't have regular vinegar so I used half apple cider vinegar & half rice vinegar & it tasted just fine. I'll have to try it again with regular vinegar to see if there is a difference. Thanks for this amazingly easy recipe! Can you diet lemon lime? That's all I have on hand here. This looks delish! You could definitely try it, however, I have heard that diet sodas sometimes change the flavor a little bit because of the sweetners. Let us know if you try it and like it! I threw this together this morning. I am worried as I didn't read the directions first and I put everything in the crockpot including the corn starch and water. Do you think it will be okay? I made this today, and it's really tasty! Well, I don't know what I did wrong :((( Mine came out VERY sour and I even cut down on the vinegar. I had to add extra brown sugar but even then... :-/ :( It looks delicious on the pic though! Mine was sour as well so I took off the crockpot cover for an hour and let the vinegar cook off!!! Fixed this for supper tonight and it was a big hit! This was delicious! I have a 1 year old & a 4 year old, they both LOVED it. I didn't have any Sprite (lemon / lime soda) so I substituted with Coors Light + the juice of half a lime. Very, very good, will be making again ASAP. Note: if you have a Kitchen Aid mixer, put the chicken in it after it's done cooking, & mix it for 5 seconds using the paddle attachment - perfectly shredded! I didn't have soy sauce, think it will be ok? The flavor might be a little but different, but I think that it will still be okay! This was delicious! Even picky husband liked it. Thank you! Mmm, just made this for dinner! I didn't have any lemon lime soda so I used the juice of half a lemon instead (totally the same, right? Lol). I also used apple cider vinegar and it turned out delish!! I served it over garlicky quinoa! Thanks a bunch!! 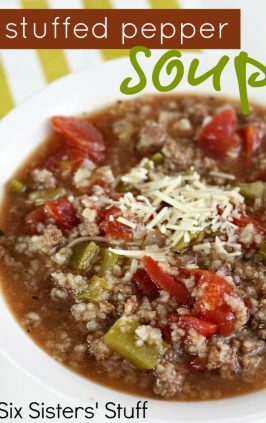 This is by far one of my favorite (possibly #1) crock pot meals. I made it for dinner today... didn't have any Sprite... I improvised with Diet Coke (ALWAYS have that on hand). Still tasted great! Thanks for this amazing recipe! Thank you for the recipe! My chicken came out dry but I was able to break it up and drizzle the sauce. I was wondering if maybe I cooked it too long? It was on low about 7 1/2 hours and I used frozen chicken breasts. As an FYI I used Squirt soda (which is a citrus flavored soda my husband drinks it) and I used apple cider vinegar but will try white vinegar next time. Made the recipie exactly as shown and it was DELICIOUS! had some leftovers (only 2 of us in my house for now) and it was even better the next day! Added red pepper flakes as suggested (we love a little spice). It was almost like we had our own homemade chinese chicken! Served with steamed rice and broccoli. Hey there! Mine is in the crock pot as we speak (hoping it's cooed before Sandy hits us!). I used rice vinegar since I love the taste and lime seltzer. However, the oddest thing, my garlic is turning GREEN. Like really really GREEN! Has this happened to anyone before? So odd!!! Oh my goodness, that is so odd! I haven't heard of that happening! I am so sorry! I hope that it still tasted okay! I made this tonight for dinner and it was AMAZING! I accidentally put in two tablespoons of teryaki sauce instead of the two tablespoons of soy sauce, and it was yummy (I was hoping that it would still be edible!) The teryaki sauce gave it a kind of zany flavor that wasn't too over powering but still enough to bring a smile to your lips with each bite! I don't know it it still is AS kid friendly as the soy sauce version, but we loved it and it will be a repeat in our house! I made this with Rice Wine Vinegar because it's the only vinegar I had on hand, and it was delicious! Made this the other night. Wanted to comment since I always appreciate reading all the comments before I cook things myself. I only made this for two so I cut down the sauce just a bit- instead of lemon-lime soda I added about 1/3 cup of lemon juice and lime juice together (freshly squeezed)...Also I only used around 1/3 cup of vinegar as well (mixture of regular and white wine vinegar). Lastly, I added a bit of red pepper flakes to the crockpot itself and also topped the finished dish with a few- added a bit of bite to the sweetness of the sauce, great. Used a bit extra garlic as I like- this turned out GREAT. The sauce left the chicken with an awesome flavor, and once I made the sauce into the glaze with the cornstarch and water, it was beautiful and yummy! Lastly, I made this with brown rice and added a bit of garlic powder and parmesan cheese to the rice as it was finishing. My boyfriend really liked it and I will surely make it again. So easy to make and clean up. Definitely a keeper of a recipe- thanks so much for sharing. I made this last night as the very first thing I cooked in a crock pot and I have to say that it was to die for! I used dark brown sugar (since that was all I had) and bone-in/skin-on chicken thighs and the flavor was off the charts. My sides were brown rice and chopped spinach. The only bad thing about this recipe is the wait when the entire house smells so yummy. 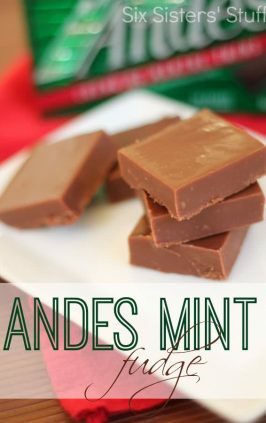 I am making this tonight using lime seltzer water instead of soda. I halved the vinegar and added 1/3 cup of pineapple juice from a can of pineapple chunks. The put the chunks in with the chicken. Everything else was the same! I will let you know how it turns out! I made this 2 days ago using apple cider vinegar and ginger ale because thats all I had at the time, and wow it was soooo tender and yummy! I will def make this again. I just heated up the leftovers for lunch and the chicken is still very tender and juicy 2 days later!! Mmmm! I am making this again right now. I made it with ginger ale both times. Wonderful! I have just looked at your 8 freezer meal blog and I love that idea. Do you think wee can do those freezer meals with all these crock pot meals or some or no? I think that you could so it with a lot of them, but I haven't tried it on all of them, so I don't know for sure! I don't think that it would hurt to try. 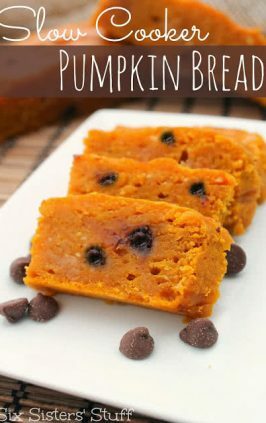 I really think that this specific recipe would work just fine because it doesn't have any ingredients that would go soggy or mushy. What are you putting the chicken into when you remove it from the slow cooker? And are you just pouring the sauce back over it once it's done? I made this tonight. It was a good combo. Impressed. Should have added spicey mustared to give it a little more kick. Great and tender chicked...6 hrs in Las Vegas. Delish! Made this tonight.....didn't have any lemon/lime soda so I substituted white wine and it turned out great! Definitely a keeper! May this also be prepared as a freezer meal? The chicken would freeze great as a freezer meal. 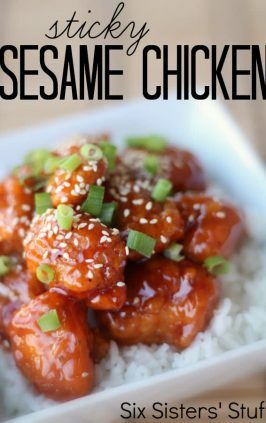 I want to make this tomorrow, but I saw the cook time of 6-8 hours on low, and was wondering...does this dry out the chicken? 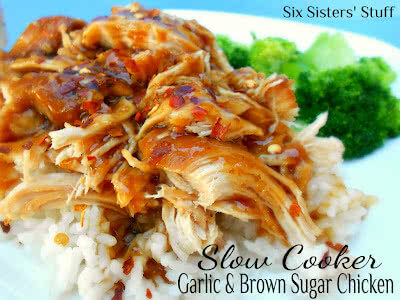 I saw on the Honey Sesame slow cooker chicken you only cook on low 3-4 hours. I just dont want to over or under cook! I have not had any problems with it drying out, but to be honest, I really think that it would be ready after 4 hours on low. I usually cook all my chicken around 4-6 hours, but the sesame chicken seemed to be done a little bit earlier. It also depends on your slow cooker- some cook faster/hotter than others. I would aim to cook it for around 6 hours and you should be fine. Hope that helps! I made this recipe today and thought it was good, but I thought the chicken was a little too dry. I used four boneless chicken breasts and put the slow cooker on for 4 hours @ high. I think that was too long. Also, I thought it was too sweet, but my teenage son & husband thought it was delicious! Next time, I will cook it for 3 hours. Thanks for a nice recipe. Just made this tonite and LOVED it! This chicken was prob the most moist chicken I have every had the privilege of eating. Thank you so much for posting this recipe. My tweaks- I cut the sugar to 3/4 c and I used apple cider vinegar. Some crushed peanuts and chili flakes on top and it was heaven! I also served it on top of our old standby- a cooking light coconut jasmine rice, which adds a nice flavor dimension as well. 1 1/4 c. water, 1/2 c lite coconut milk, 1 pinch salt, 1 cup jasmine rice- bring all these ingredients to a boil, cut to a simmer, cover, cook 15 minutes, fluff w/fork and serve. Made this for supper last night- it was MEANT to be- I had EXACTLY 2/3 cup of vinegar. :) Plenty of leftovers, so we will be enjoying it again tonight!! Thanks for a great recipe! I don't recommend putting frozen chicken in your crock pot. I did this, and it cracked my crock as it began to heat up. I always put frozen meats in my crock pot. As long as you have some liquid in it there should not be a problem. Made this for dinner last night and it was AMAZING. My boyfriend couldn't stop talking about how good it was while he was eating it :) I served it over rice and with green beans. I let the chicky marinate over night in the sauce, but overall I was not crazy about the flavor of the chicken. The sauce was pretty good. The meal & sauce had the same flavor as Green Giant Create a Meal Teriyaki. I'm going to use the leftover chicky for shredded bbq sandwiches. On to the the next recipe! I made this on Sunday and it was delicious! I didn't have regular vinegar, so I used apple cider vinegar - and I didn't have soy sauce, so I used honey. It tasted wonderful! Making the glaze was very easy too (something I usually avoid doing because it always seems so daunting!). 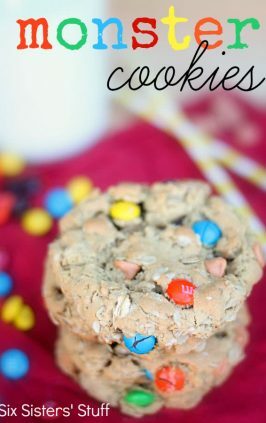 This is a great recipe and def a keeper! I made this recipe exactly as it stated...and when I got home from work 9 hours later, I was so disappointed. My crockpot was on low, but my whole crock pot was charred. The chicken breasts were all burnt and the sauce was totally black and burnt. The smell was awful. I don't know what happened....,any ideas?! Sounds like you may have a lid that is letting too much steam escape. Finally! A chicken recipe my husband would like me to make again! I subbed 1T worchestershire sauce for the soy (didn't have any), and cut the vinegar in half. I also used boneless, skinless chicken thighs. Delicious! Will make again next week. Thanks! Can i use coke in place of lemon lime? We dont have any. I have lemon and lime juice, but no soda. Wonderful! We all loved it. Thank you! Loved it! As did my 9 and 2 year old :D chicken was beautiful, definitely make it again. I made this tonight but since I didn't have soy sauce I used a tablespoon of Worcester sauce. It tastes really good :) added some hot pepper flakes to make it spicy and lots of pepper. Thanks for the recipe! this was delicious. made as directed. the husband and i loved it but the kids thought the outside of the chicken tasted funny. layered with some stir fry veggies and poured a little sauce on and yummo! i will definitely make it again. thank you! In the crockpot now! Can't wait to try it!! I used chicken breasts and cooked on high for 4 hours, and the chicken was very dry. Would it be better if cooked on LOW? Or should I just use dark meat next time? I really liked the sauce and would like to make this recipe again with better results. Thanks! Try it on low and see if that helps. I made this tonight but the chicken was really dry. What did do wrong?? Maybe just cook it for less time. We have had crock pots that are hotter than others. Try cooking on low and check after 4 hours. Sorry Bridget. We are having some problems with the magic button and will have it fixed next Monday. I'm cooking this right now and my home smells amazing! Everyone is always excited for dinner when they have been smelling it all day. The slow cooker can turn anyone into your favorite cook. Thanks for the recipe! Rave reviews around our table of six. :) Thank you! I really don't understand how people enjoy chicken from a crock pot. This is the second recipe like this that I've tried and I have learned my lesson. This sauce is not tasty. It has no real flavor and the dish looks like dog food when plated. Can I double (or at least make 1 and a half) this recipe in the crock pot? If your crock pot is big enough you could 1 1/2 this recipe. I think if you doubled it that would be too much. You would need 2 crock pots for a double batch. how many pounds do you think we're talking about here for the chicken? 4 to 6 chicken breasts. Maybe 2 1/2 to 3 pounds. A lot of times it depends on the size of your chicken breasts. I made this for dinner tonight and it was yummy! Next time I might add some pineapple chunks when thickening the sauce, Ans maybe some Ginger. I used Ginger ale and added the juice of half a lime. Yum! I've seen this all over Pinterest and I've read all the comments that say this is amazing so I'm really disappointed! It was edible but eww! The sauce was too vinegary. We all ate it, but I wanted to cry. I followed the recipe exactly using thighs. What the heck? This is in the crock pot now! Can't wait for dinner :)! I added a little bit of honey because I had it and why not? Here's to hoping it turns out as good as yours looks!! Will post back later. The first time I made this it smelt amazing but tasted so bland! So now when I make it, I double the sauce and only put half of it in the crock pot. Then when I put the sauce in the saucepan to thicken it, I add the rest of the sauce top out. A lot of the flavor seems to cook out of the sauce when you're cooking it in the crockpot and this helps put it back in. Makes this really yummy! I made this with chicken the first time and it was a hit with everyone, namely my five and seven-year old;) Today, I am trying this with pork. Hope the results are the same! This was a HUGE hit for my family, my three year old ate the most which gives it a top rating from us!! My daughter has celiac so I just used gluten free soy sauce and it was a gluten free dish!! Will keep this in our three star recipe box! thanks so much!! 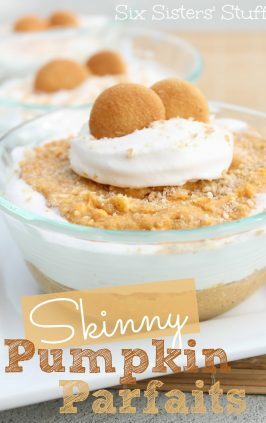 I found this recipe on Pinterest and plan to make it tonight. The only ingredient I am missing is the cornstarch. Any suggestions? Thank you! So excited to try this tonight. I was wondering if you could serve it on a bun like a sandwich or if just over rice or noodles? It would be great on a bun! May need to use a slotted spoon when dishing it up if you need to drain off any liquid. YUM! I made this a couple months ago & really liked it. My crockpot has a 4-6-8-10 hour setting & I cooked 1.8 pounds of frozen chicken on the 6 hour setting for 5 hours which was a little too long. After I thickened the sauce I shredded the chicken & mixed the sauce in which helped to moisten it back up. Really good flavor. I'm going to try this again for a party & make sliders. I'm going to cook it the day before, shred, mix in sauce then put in fridge all night then warm it up in the crockpot the next day for the party. I hope I don't dry it out keeping it warm. Has anyone tried cooking it this way? Can you use diet lemon lime soda? Can't wait to try this!!! Diet lemon lime soda should work just fine. I made this for dinner tonight and it turned out very yummy! Thank you for sharing it! Hi. 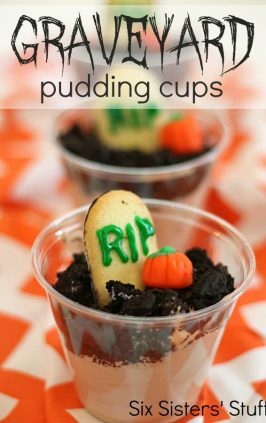 I want to try this recipe! if I use a whole chicken , do I remove the skin ?before cooking it? You will eventually want to remove the skin. It may slide right off after cooking.